HarperCollins is proud to present its incredible range of best-loved, essential classics. 'This was the slaying of the Minotaur, which put an end forever to the shameful tribute of seven youths and seven maidens which was exacted from the Athenians every nine years.' The gods, heroes and legends of Greek mythology and their Roman interpretations are as fascinating as they are instructive. They include the almighty Zeus and his many wives; heroic Perseus, slayer of the snake-headed Medusa; Helen of Troy, whose beauty caused a great war; Medea, driven mad by jealousy; and tragic Persephone, doomed to live half of each year in the Underworld, condemning the world above to winter. 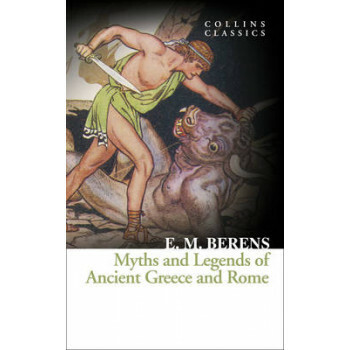 First published in 1880, this comprehensive collection is an early modern retelling of the characters and tales of ancient Greece and Rome; a popular account which offers an important insight into the ancient civilisations that it evokes, and forms a basis for our understanding of the classical world.